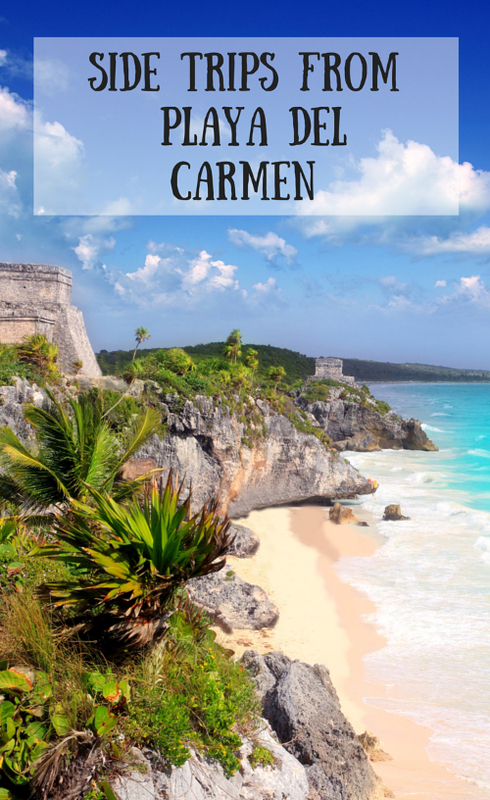 Playa Del Carmen Side Trips - Yes You Should! When we arrived in Playa Del Carmen, Mexico, we found plenty of things that we expected, and even more that we didn’t — in the best possible way. What we expected: White sandy beach, check. Warm blue water, it’s here. Also, cheap tacos, lots of people watching, and a huge array of shops and restaurants along the famous 5th avenue. Most people that we talked to before arriving told us that this was the “Playa” they found and loved during their visit. But get a little more adventurous and you open yourself up to a lot more without spending a fortune by taking these great side trip from Playa Del Carmen. There are many places in the Yucatan Peninsula where you can view Mayan Ruins. 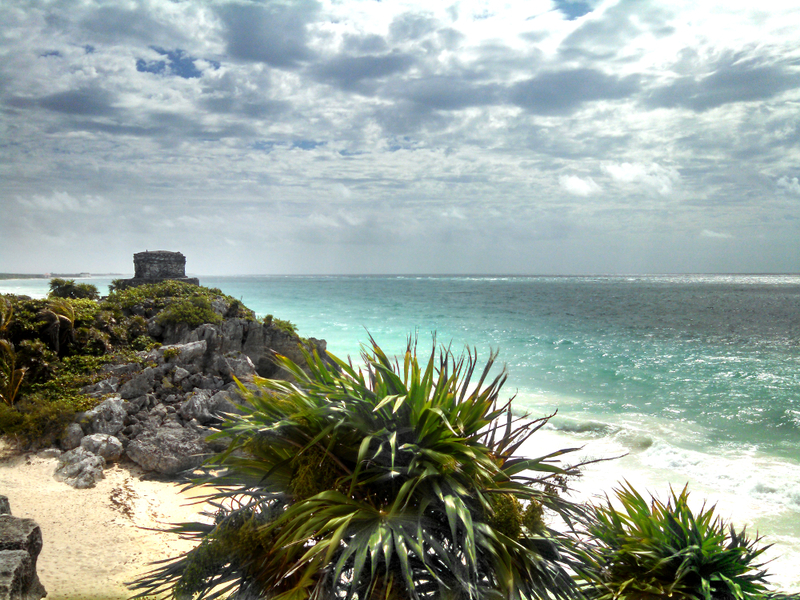 But only one where you can view them and the famous white beaches of Tulum at the same time. The ruins are in a well landscaped area that makes getting around and seeing all of the sights very easy. There are plenty of licensed tour guides at the front of the site for a more in-depth look into the history of the area. It’s a small area packed with sights, including iguanas around every corner. We counted 27 on the day we were there. 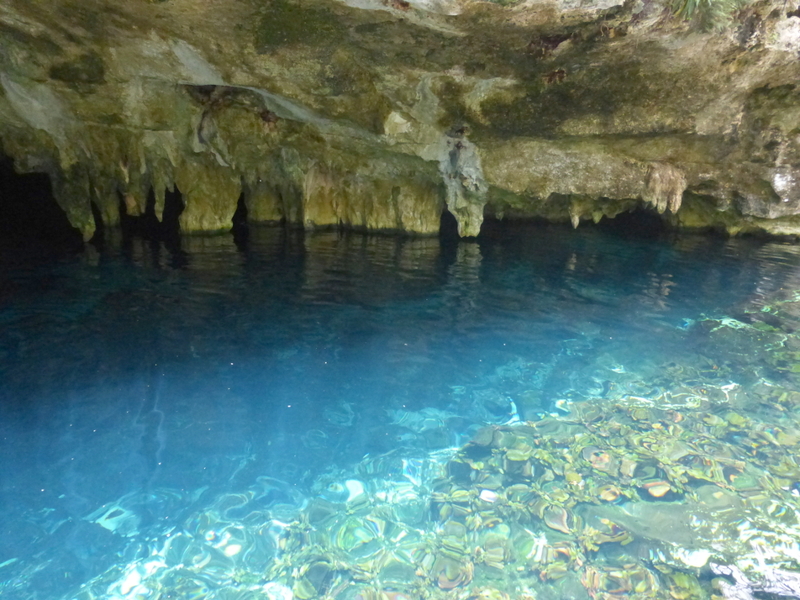 The peninsula is packed with thousands flooded underground caves, often exposed by sinkholes known as Cenotes. We visited the well-known Gran Cenote by taking a taxi from the ruins in Tulum. There is a large opening from which to explore the underground river and caverns, all filled with fresh water from the underground rivers. You can rent snorkels or dive equipment for a more in depth exploration. If swimming around in a cave isn’t amazing enough, then the addition of fish, the occasional bat and even turtles brings the experience to a whole new level. 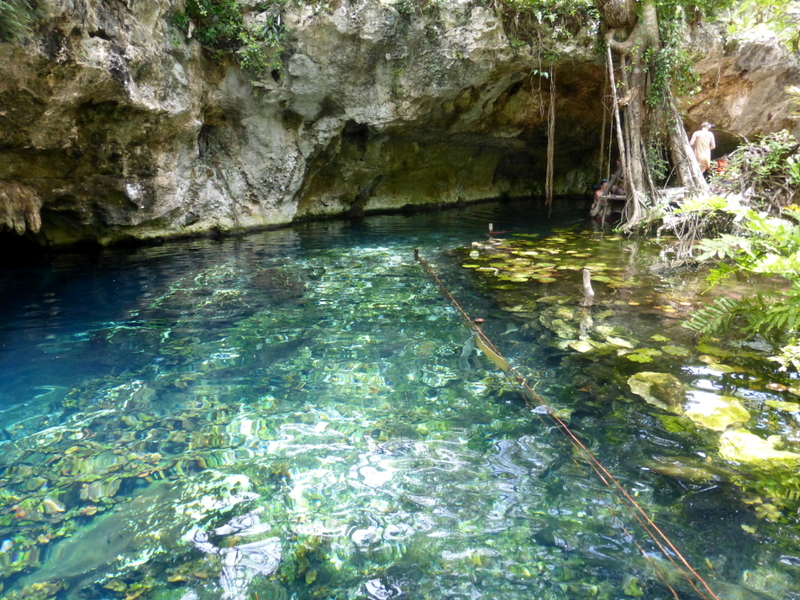 There are several Cenotes that are accessible off of the main highway between Tulum and Playa. It’s a must-do Playa del Carmen side trip that will make your Mexico vacation all the more memorable than just a day on the beach. 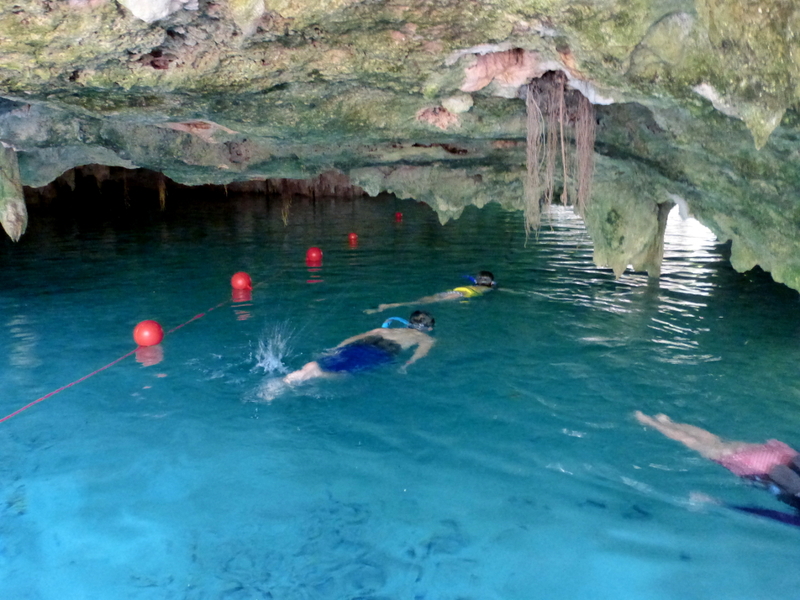 Swimming in a Cenote – Worth the Trip from Playa! This area with white sandy beaches and calm waters is best known for it’s namesake. Akumal means “Place of the Turtle” in the Mayan language. 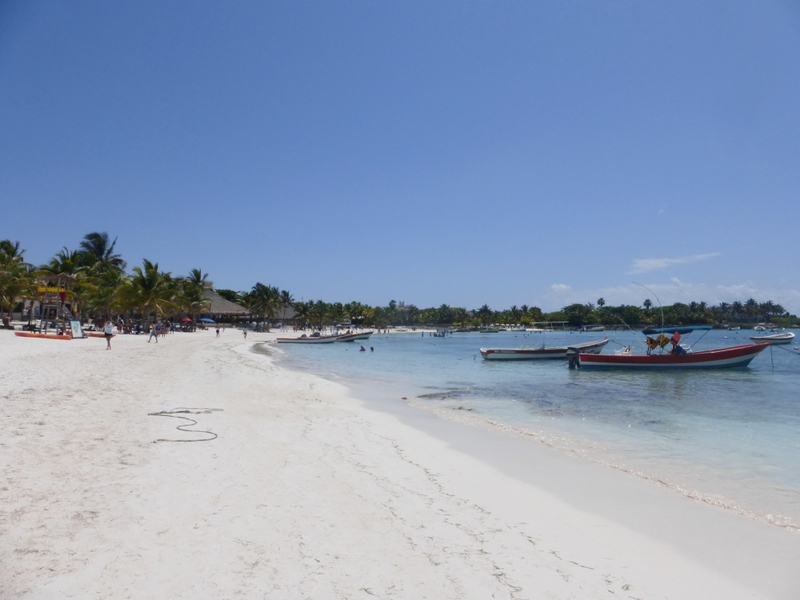 Once you arrive in Akumal the beach is only a short walk though a small shopping area. There are a few dive shops where you can rent scuba equipment or a snorkel and life vest for $18.00. We chose to pick up snorkels at the local Walmart for $12 that we used during our stay in Playa. 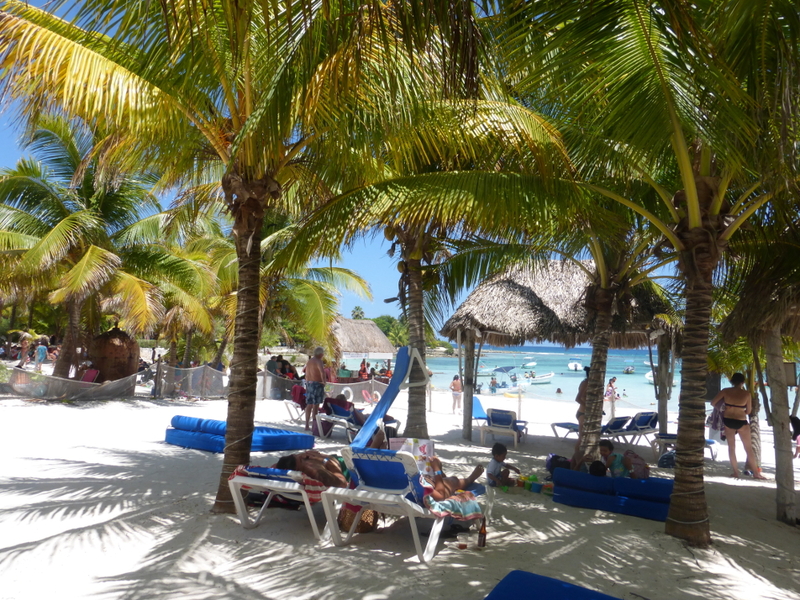 Rent a beach chair for about $5 per day (more if you’d like a beach bed or a spot under the palapa. 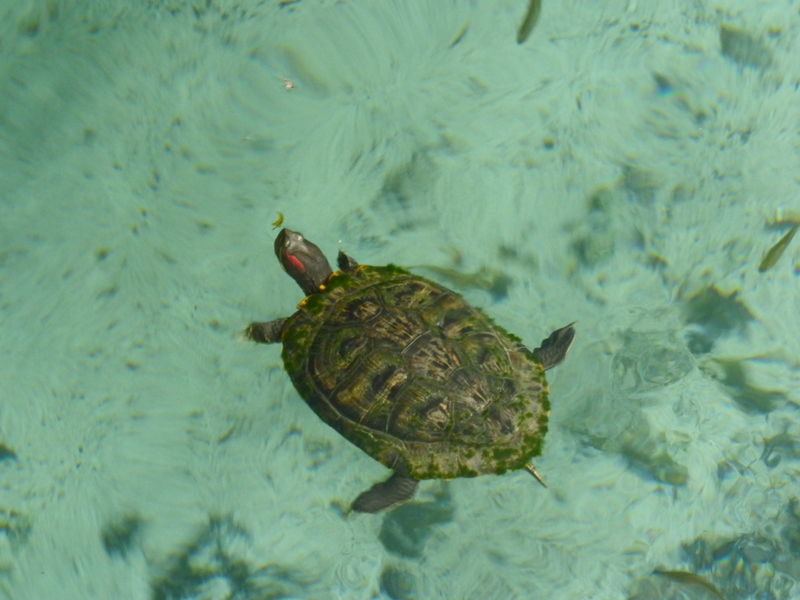 A short swim later and a little patience will reward you with some casual time with turtles munching away on sea grass. We had numerous such encounters during our afternoo. Along the way we also met up with with a ray, several kinds of fish and a small school of squid. 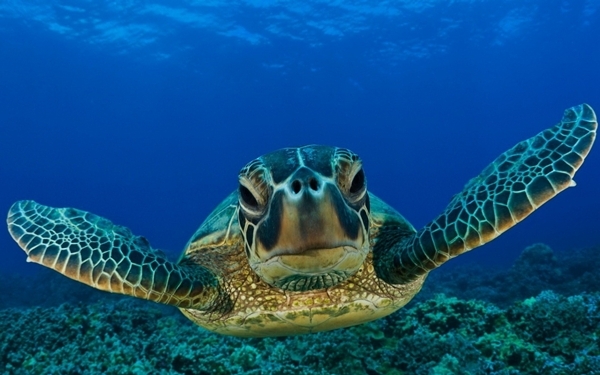 Akumal Turtle via Wetset.com Wouldn’t you take a short side trip from Playa to meet him? There are several options for snacking, but we chose the Ho Lo Restaurant, an open beach bar under a huge palapa. We had the El Pastor Nachos but were tempted by the pizza selection and ceviche. Biggest surprise was the long stretch of sand there with very few people just steps from the dive shops. And only a 15-20 minute ride from the heart of Playa. There are several tour operators in the area that can provide you with guided tours. Many of them will offer a great deal, particularly if you are interested in sitting through a time share presentation. If that’s not your speed you may want to learn how to hop on a collectivo, the way the locals get around. 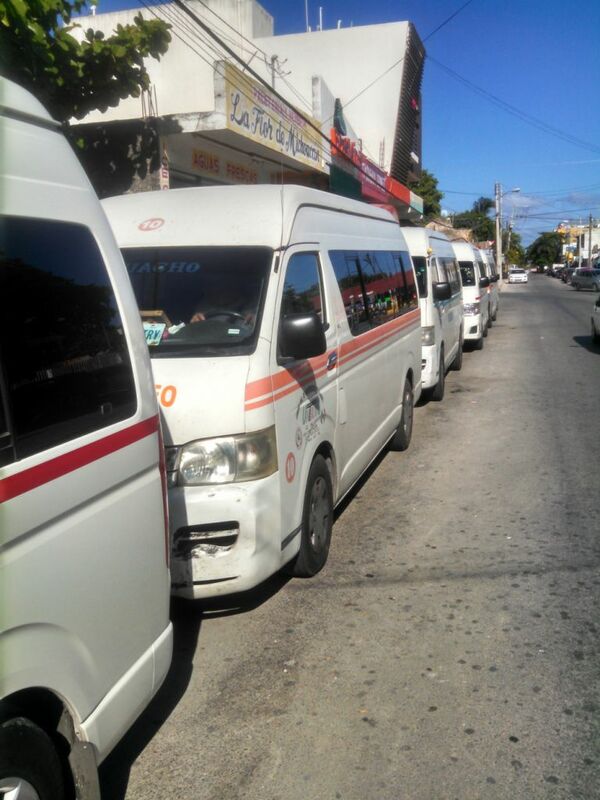 Between Tulum and Playa (and other destination) are 12 passenger air conditioned vans. They line up Calle 2 Norte between Av. 15 and 20 and leave when they are full – which doesn’t take long. The drivers will drop you anywhere you want to go on their route. 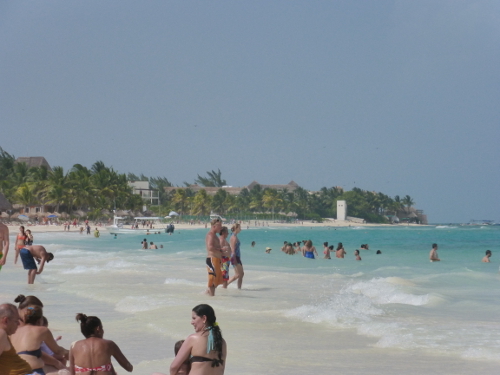 For example, the Collectivo costs 25 peso to get from Playa to Akumal. Just make sure you remind the driver where you are going. To get back you can flag down any Collectivo headed your direction. There are also covered bus stops at all of the main attractions along route 307. The peninsula also has another low cost transportation alternative – the ADO bus. We whizzed by all of expensive shuttle vans and taxis a the airport and took a clean and comfortable air conditioned bus from the Airport in Cancun and traveled to Playa for $11 each. You can find a bus schedule online here. The number of additional activities in the area is dizzying. Here’s a partial list to give you an idea. 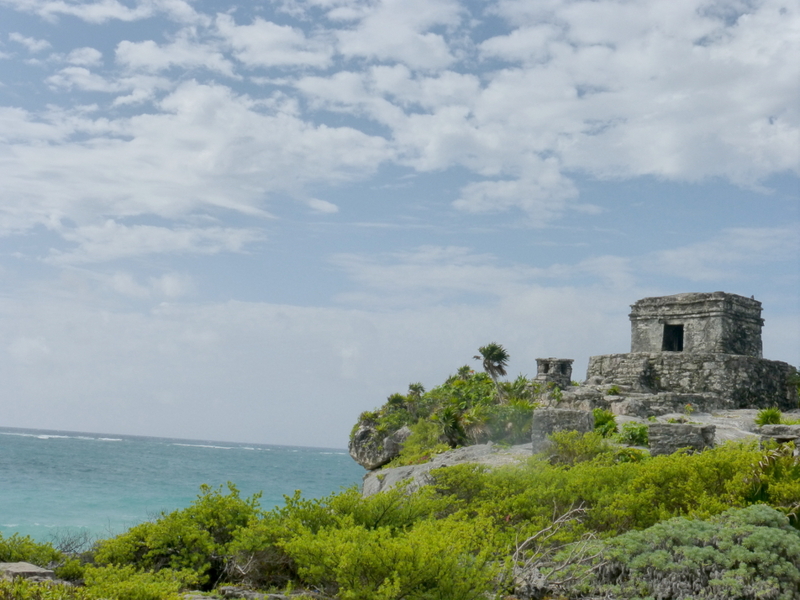 Visit the town of Tulum. Known for it’s gorgeous beaches and yoga studios. Tulum is considered an up and coming area that likely will not remain a sleepy beach town for long. Accessible by ADO bus and Collectivo. Ferry Trip to Isla Mujeres or Cozumel. There are trips leaving daily from the ferry landing at the South end of Fifth Avenue. Water Sports. There are many activities such as Jet Skiing, Para-sailing, and even Fly Boarding with a Jet Pack. Rentals are readily available along the beach. Lounge at a Beach Club. Rent a beach chair and umbrella starting at about $6 US per day. Drinks, food and messages are available for purchase to enjoy on the beach. XCARET. A family adventure part located about 15 minutes outside of Playa. Inside the park you can snorkel in cenotes, take in a dolphin show, view tropical wild life, or enjoy a dinner show depicting the history of the Mayan peninsula. This attraction is more pricey, but you can find discounted offers or choose to go after 3:00 when the entrance fee drops. 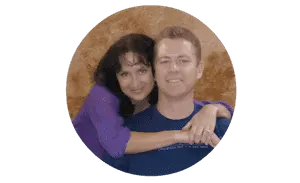 Click for more information including deals and discounts. Yal Ku Lagoon. The lagoon is a short taxi ride (or hike) from Akumal Beach. It is known for it’s calm waters, which makes it a superb area for snorkeling. You can rent snorkel gear and a locker here and spend your day in the crystal waters, described by many as just like swimming in a aquarium. There are many other activities available not to mention lots of restaurants and street food to enjoy during your visit. Want tacos? 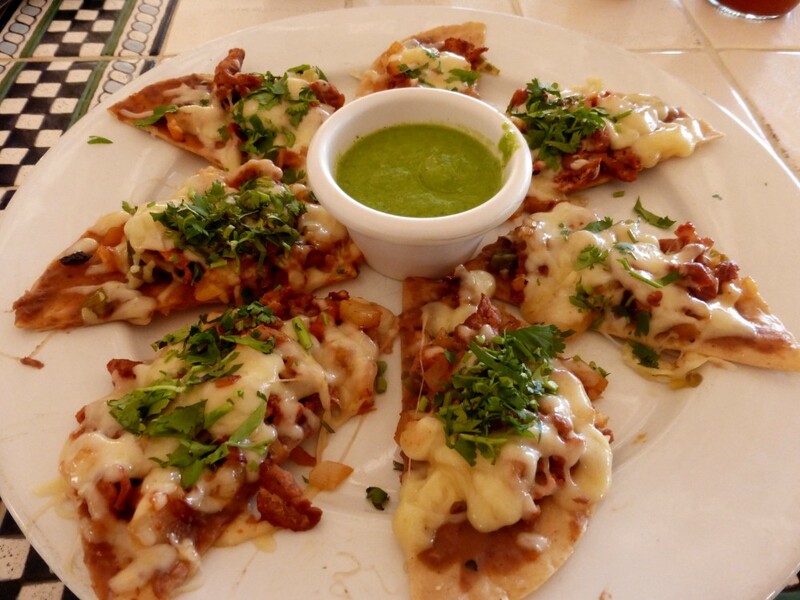 Check our Playa Del Carmen Taco Crawl Post. 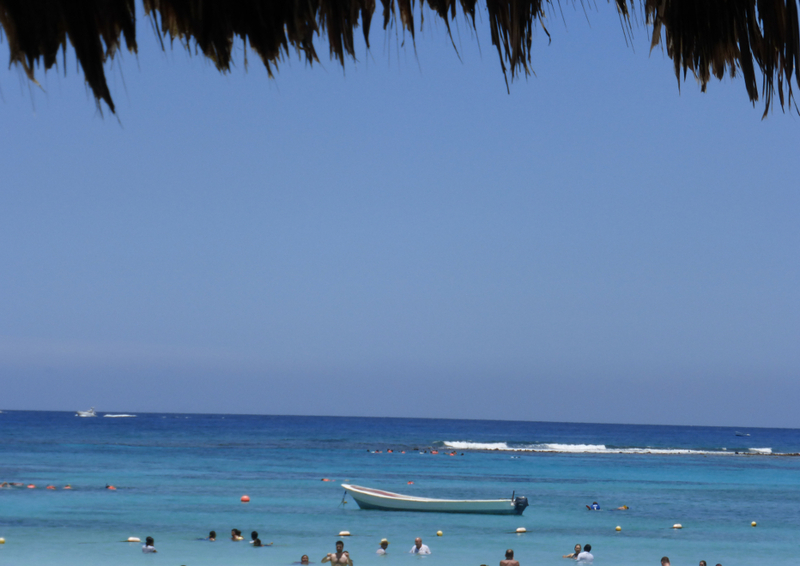 So if you love the beach, good food, and a variety of activities in all price ranges, you should be able to find your way to a good time in Playa Del Carmen. Happy Travels! Looking forward to getting to know you and Playa better now that it will be more of a home to us a few weeks out of the year. Count us in for jungle tours and cenotes! We will repay with drinks and dinner on the deck. The activity in Akumal, snorkeling with sea turtles is the best to do with the family, even if you have young kids itÂ´s great and its an activity you can combine with a cenote snorkeling close to Tulum. For lunch I recomend you the tikinxic fish. I love traveling and these pictures make me want to head to Mexico. Thanks for sharing! Thanks for sharing – great photos. I’ve never been to Mexico but it’s definitely on the list! One of my biggest regrets was not having gone on day trips while in Mexico! I wish I had participated in all of these. Mexico is so diverse and rich in history, culture, and adventure! 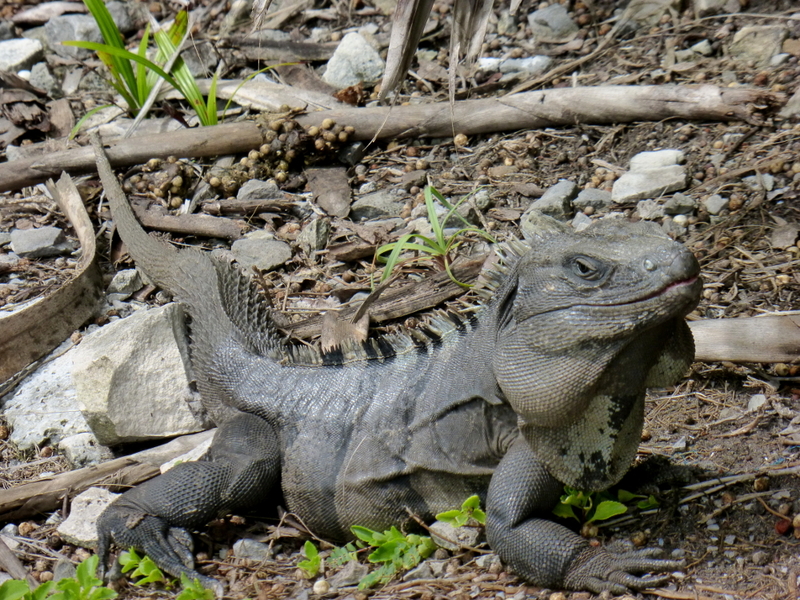 I am loving all the wildlife – especially the iguana! It would be fantastic to spend some time enjoying the great outdoors. I would love to try the underground cave!! Bats scare me, but everything else about it sounds amazing. This was such a lovely post, thanks for sharing! I really want to explore the cenotes! They look amazing! Sounds like we might have to plan for a few extra days – had no idea there was so much opportunity for wildlife!! Thanks! Leaving for Playa on Sunday. 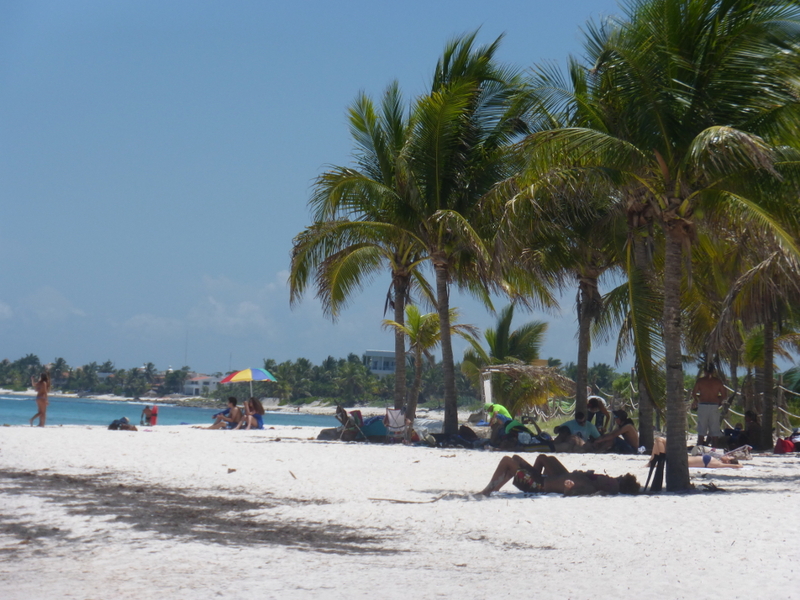 Never traveled to Mexico….should we take cash/debit card/traveler’s checks? We use ATM’s at the bank – If you do this, just let your bank know you will be traveling to Mexico. Most places take credit cards as well. Traveler’s checks aren’t worth the bother, in my opinion.